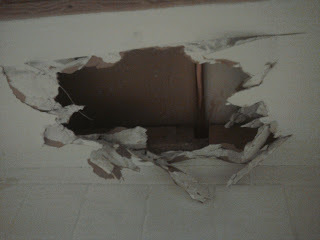 Random Anny .Com: Hey I repaired a hole in the ceiling! 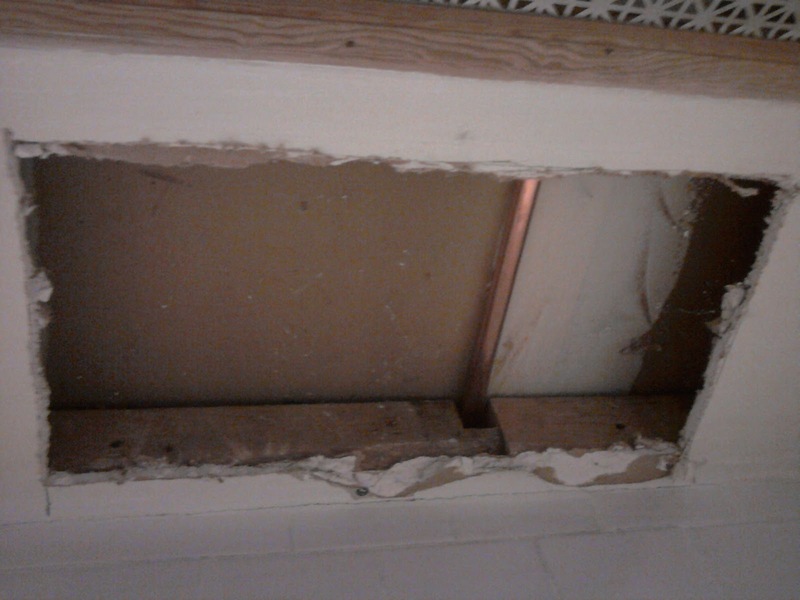 Hey I repaired a hole in the ceiling! I am inordinately proud of this one because I repaired something instead of making it look pretty! The plumbers had to replace this portion of the pipe in the basement. Its beautifully shiny and I hope to never see it again. 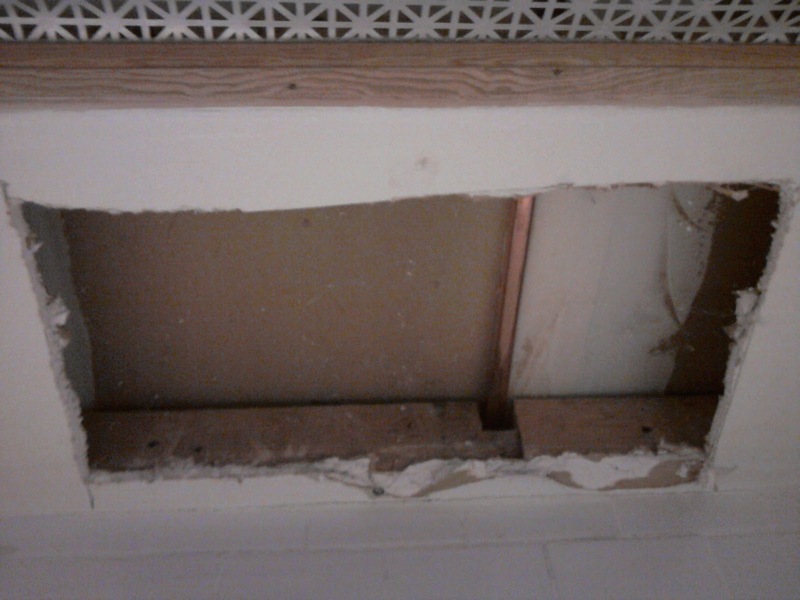 Youtube said rather than cut a piece of sheetrock into that jagged hole I should cut a rectangular hole, measure it and cut a sheetrock to that size. See that decidedly non-straight line at the top of the photo? There is a beam there so I couldn't easily cut through sheetrock to make a perfect line. Half hour of chipping later I had a rectangularish hole. 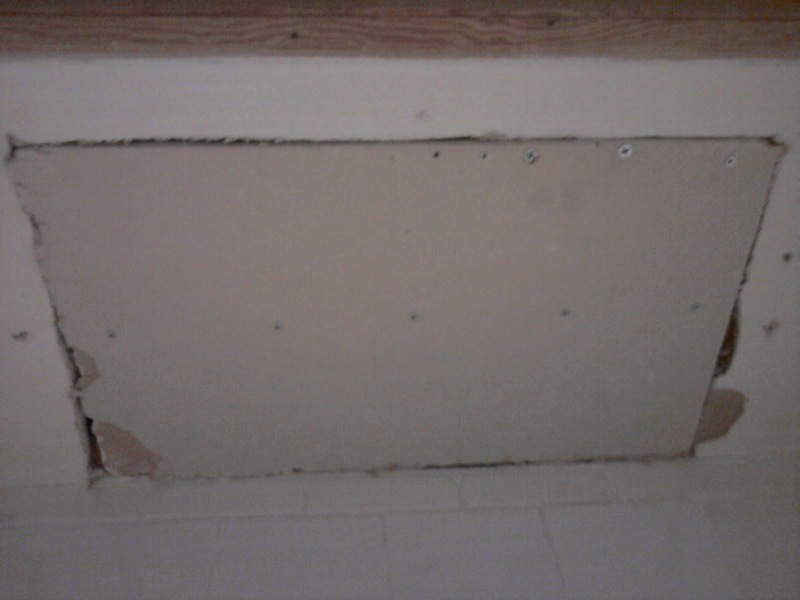 My piece of sheetrock! I screwed the sheetrock to the wood. 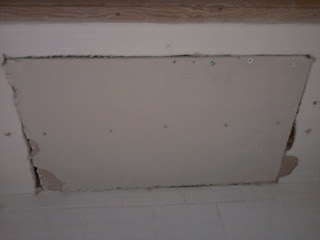 The trick, youtube says is to use a piece of sheetrock the same depth as the one you are replacing. 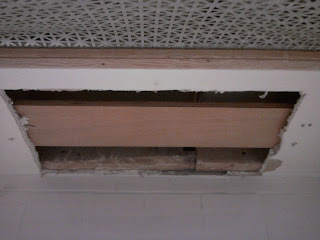 I also put some screws through the front into that beam that kept being in my way before. Spackle, sand. 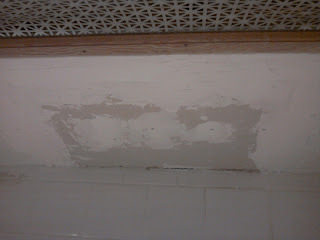 Spackle, sand. 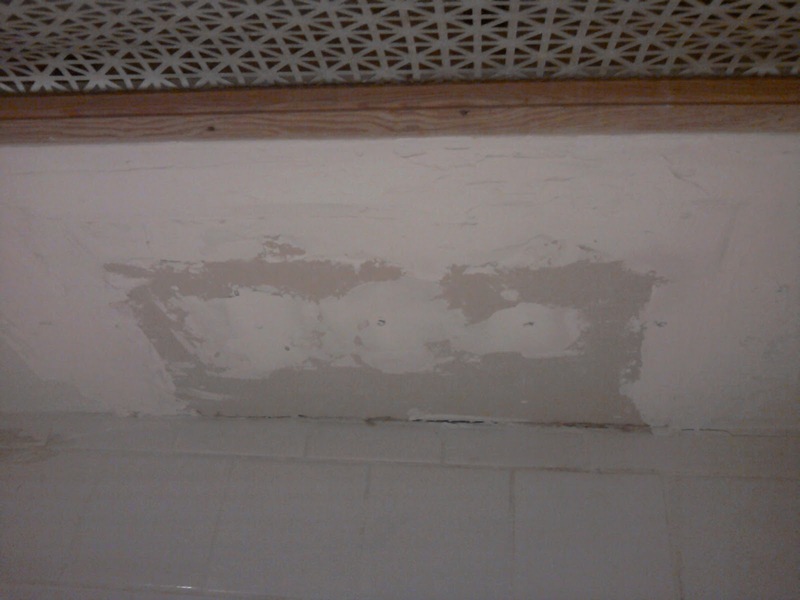 I didn't use the super fast drying spackle and instead spread this step out over two days. Since it was in the ceiling I quickly grew tired of craning too. Now the patch is indistinguishable from its surrounding area. Good Job Self!